In 2003, Rhode Island-based Martin Keen, a sailing champion, got tired of bashing his toes against the cleats and winches on his boat. A flash of inspiration led the footwear designer to create a hybrid sandal with a closed toe. 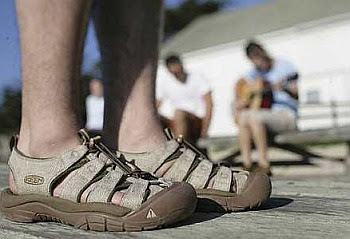 Basically, the footwear offers the protection of a shoe and the comfort of a waterproof sandal. Read the full review from TheStar. Founded in the French Alps in 1947, Salomon has long been known for its superb ski bindings, skis and snowboard and the revolutionary designs and technology they incorporate. In the early 1990s, the innovative company with 13 subsidiaries worldwide ventured into the hiking industry. Today, many adventure racers swear by Salomon’s high-performance trail-running shoes, apparel and backpacks. 3 comments on "Hiking Shoes Review"
Whoa!! 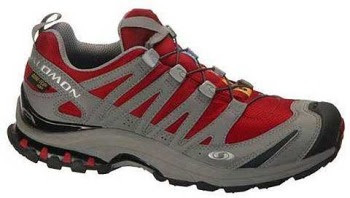 Love this Salomon shoes, will save some $$$ to buy it. Great review on hiking shoes!! Those looks really fantastic and perfect!! Yea these are pretty sweet Salomon. They can get expensive but totally worth it cause they last forever.